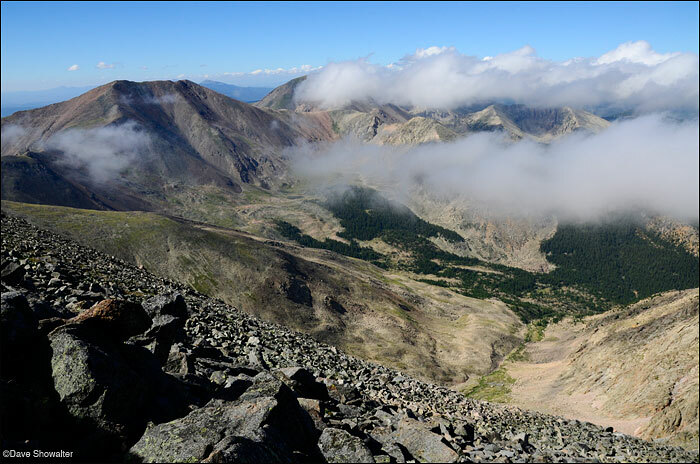 Vermejo Peak (13,723'), part of the Culebra Range of the Sangre De Cristo Mountains rises above valleys of the Cielo Vista Ranch. We were climbing Culbra Peak (14,069') as paying guests of the ranch and had a great day above timberline. Photo © copyright by Dave Showalter.